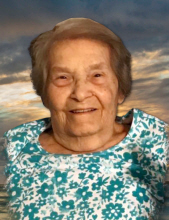 Dorothy M. Bacon 85 of Seneca, SC went to be with her Lord and Savior on Monday Jan. 28th, 2019. She was born Sept. 1st, 1933 in Morristown, TN to Harold & Opal Childers Noe. She was a homemaker by trade. She was preceded in death by her parents, Harold & Opal, her husband, Leonard Bacon, son, Larry Bacon, she is survived by daughter, Laura & Travis Blakely, grand-daughters, Amber & Jason Russell, Andrea & Jared Ward, great-grandchildren, Ricky and Chase Russell, Jackson Ward. Funeral Services will be held Thursday, Jan. 31st, 2019 at 12:00pm at the Brown-Oglesby Chapel, with burial to follow in Oconee Memorial Park, the family will receive friends from 11:00-12:00pm. In Lieu of flowers make donations to Hospice of the Foothills. Brown-Oglesby is assisting the family. To send flowers or a remembrance gift to the family of Dorothy M. Bacon, please visit our Tribute Store. "Email Address" would like to share the life celebration of Dorothy M. Bacon. Click on the "link" to go to share a favorite memory or leave a condolence message for the family.